The top photo was taken yesterday afternoon while Annie and I went to check the mail. She enjoys smelling the horses at Dutch Creek Farms. The bottom image is of our wood pile, a couple of weeds and our old well house. I am not hiding. It's just that I'm rockin' my newly found snowflake geekiness. I've become obsessed with capturing snowflakes with my camera. When I haven't been online studying the intricacies of microphotography and optical physics, I've been scraping together pieces of old microscopes and parts of ancient camera paraphernelia with hopes of successfully capturing ice crystals on my sensor. What started on a whimsy quickly turned into a quest which, if I am not successful soon, will have me dramatically throwing myself from a top a mountain precipice out of complete anguish at my failure. To be certain I owe Kenneth G. Libbrecht a debt of gratitude for sharing his secrets and wonderful photos of snowflakes on the www. He possesses far greater gear, and much deeper pockets than I do. He travels to places where snow is guaranteed and scores beaucoup of sectored plates and dendrites. Though our Appalachian snow accumulation has been plentiful this year, our ice crystals have fallen more into the column, simple plate and needles categories. It is a southern snow thing. 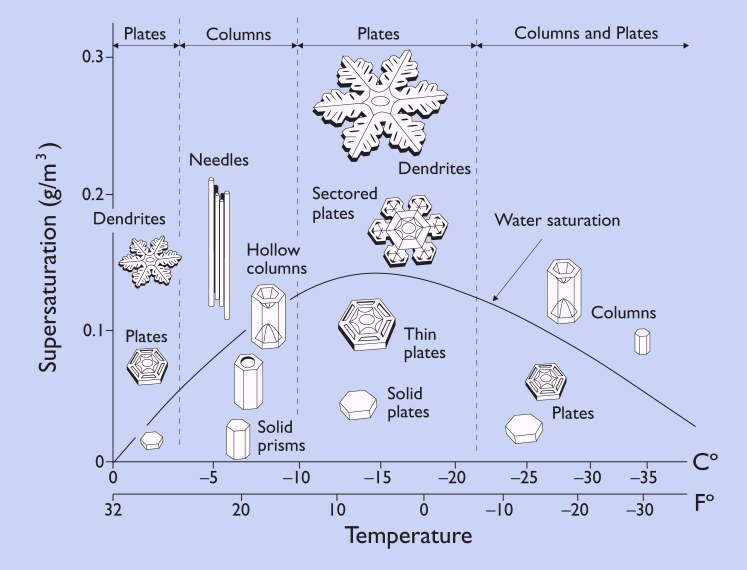 I've learned more about snowflake morphology than any non-scientist should ever be comfortable to talk about in the presence normal people. But I believe I finally have the technical aspects nailed down. And I believe that I have developed a different lighting style than the Snowflake Master so my images will be distinct. All I need is Mother Nature to cooperate and bless me with an abundance of something other than ice. Note, the photo above has been liberally photoshopped in order to protect the privacy of my final images as this is somewhat related to my day job. It is of a sad, melting snowflake...which is kind of fascinating to watch unfold through a microscope. And P.S. Thanks for all your continued support. I ain't going nowhere.